When the acne is gone, it can quite often leave you with acne scars that take a long time to fade on their own. You do not need to buy expensive ointments to treat them. You can use Baking soda for acne scars as it is a great home remedy that helps to speed up this process, and prevent hyper-pigmentation. The best part is that it is available in almost every house. 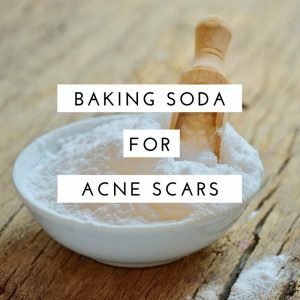 Is Baking Soda Good for Acne Scars? Baking soda has a lot of properties that aid in skin care. Here are some reasons why. It has excellent exfoliating properties that dry out the skin by removing the dirt, dead skin cells and oil which is trapped in the pores. It balances the pH level of the skin that helps to prevent the bacteria from clumping. It has anti-inflammatory property that eases the irritation and red marks of acne scars. It helps to encourage the growth of collagen to fill the indented acne scars. This helps in shedding the skin and encourages new skin growth. It aids in the gentle scrapping of the scar tissue layer by layer. This effectively dries out the oil that is trapped in the skin and prevents the scars. It cleanses the pores and helps to prevent further blemishes and scars, peel off the outer layer of skin and regenerates a younger layer of new skin cells. When baking soda is mixed with water, it exhibits various properties which help to clear many skin problems. Mix 2 tablespoons of baking soda and 1 tablespoon of water to make a paste. Apply on the face as a face mask, concentrating more on acne affected areas. Massage gently for 2 – 3 minutes in a circular motion. Let it dry for 5 – 10 minutes and then rinse off thoroughly with lukewarm water. Mix the 2 teaspoons of baking soda and water together. Using a cotton ball, dab the mixture all over the face. Concentrate more on scars affected areas. Apply dry baking soda directly on the clean and dry, acne scars affected areas. Leave for about 15 – 20 minutes and then wash off properly. Reapply this baking soda regularly to get rid of scars. Olive oil has natural anti-oxidant, anti-inflammatory, soothing and moisturizing properties that help to treat not only acne scars but all types of scars. When olive oil is mixed with baking soda, it helps to remove the dead skin cells and lightens up the acne scars. Olive oil’s moisturizing nutrients penetrate into the skin to moisturize deeply and soften the skin texture to reduce the acne scars. Mix baking soda and olive oil into a paste. Apply on the scars and massage it for 5 – 7 minutes. Add a few drops of water to a teaspoon of baking soda for acne scars. Rub this baking soda onto the affected areas. Wash it off completely and pat dry the skin. Apply a sufficient amount of olive oil to the skin. Massage it for a few minutes and leave overnight. Wash it off with water the next morning. Mix 3 tablespoon of baking soda, 1 tablespoon of baking powder and water to make a paste. Apply on the acne scars and leave overnight. Mix some baking soda for acne scars into your usual cleanser. Take about 1/2 teaspoon of this cleanser on your hands and apply to the face. Massage gently for 30 seconds, concentrating more on oily and congested parts of the skin. Leave for 5 minutes and wash it off with plenty of cool water. This process makes the skin feel tight but will clear the scars effectively. Aloe vera has an anti-inflammatory property that helps to heal the acne scars very quickly. This combinational process also prevents the excess oil, tightens and hydrates the skin and makes it smooth. Mix baking soda and aloe vera (gel or juice) to form a paste. Apply on the scars affected areas of the skin. Let it sit for few minutes until it dries. Follow this process regularly to reduce acne scars. Mix baking soda and hydrogen peroxide until all the foam disappears. Apply this to the acne scars. Scrub gently for few minutes before having a shower. Test this process before using it regularly. This process has two parts, you have to follow baking soda masks one day and then apple cider vinegar soaks the next. Apply this paste on the clean and dry acne scars. Allow it to dry naturally and then wash it off thoroughly. The next day, soak a clean cloth in an apple cider vinegar solution. Add a little water to the vinegar if you have sensitive skin. Wring out the soaked cloth to remove the excess vinegar. Dab on the face or the skin area where there are scars. Leave for 20 minutes and then rinse off thoroughly with water. Repeat the same process regularly to get complete relief. Lemon not only dries out the pimples, but the acid in this lemon juice bleaches the redness caused by acne scars. It has anti-bacterial, astringent and mild bleaching properties. Add 1 teaspoon of fresh lemon juice to 1 to 3 tablespoons of baking soda. Mix well and apply onto the acne scars. Leave for 5 – 10 minutes to let it dry. Apply olive oil to the skin and massage for a few minutes. Continue doing this process twice a week. This process is used to treat not only acne scars but also pimples and cysts. It is also good for people with sensitive skin. Mix water, fresh lemon juice and baking soda in a bowl to make a paste. Apply this paste on the acne scars. Let it sit for at least 20 minutes. The paste should become hard and crusty. Remove the crusty bit, but make sure not to wash it off. You can also cover this with a bit of concealer if you want to go out. Mix 1 tablespoon of baking soda and 1 teaspoon of no pulp orange juice well. Apply this on the acne scars affected areas. Rub gently in circular motions for few minutes. Leave for about 15 – 20 minutes and then wash off with clean water. Dry the skin with a soft towel or clean cloth and apply moisturizer. Repeat the same process regularly to get rid of acne scars. Mix baking soda, cinnamon powder and honey together into a fine paste. Apply this baking soda paste on the acne scars as a mask. Leave for 15 – 20 minutes and wash off with cold water. Pat the skin dry and apply moisturizer. Mix baking soda, freshly squeezed lemon juice, water and tea tree oil to make a paste. Apply this all over the face as a face mask, focusing more on acne scarred areas. Leave for10 – 15 minutes and then wash off with lukewarm water. Honey acts as natural moisturizer which helps to fade the scars and promotes the regeneration and quick healing of skin. For best results, use raw honey. Using baking soda and honey for pimples regularly can help fade away the scars effectively. Mix equal quantities of organic honey and baking soda to make a fine paste. Apply this paste on the scar affected areas. Massage the face for about 3 – 5 minutes. Place a warm washcloth on the paste for deep and quick penetration. When the cloth cools, use it to wipe away baking soda and honey mixture. Use this mask process regularly. Combine 2 teaspoons of raw and organic honey with 1 teaspoon of baking soda. Spread this on the acne scars affected areas. Scrub gently for a few minutes to remove waste and to enhance the collagen. Here are some effective tips and precautions which you have to follow when you’re using this baking soda to clear your acne scars. Do a patch test before using baking soda. It makes the skin dry. So it is recommended to use some natural moisturizer after following one of the methods. You should not to rub the baking soda vigorously on the skin. For more effective results, use these remedies at night before going to bed as cell regeneration is enhanced at night time. If you have used lemon juice, always apply sun screen before going in the sun. Baking soda might cause some itching or stinging sensations. Wash it off immediately if this happens. The quantities mentioned here may vary as per the severity of your acne scars. Always consult your dermatologist if you’re undergoing any skin care treatments or if anything in the process goes wrong. Do you know any other baking soda methods to remove acne scars? Feel free to share your experience with us. Click here for more natural DIY homemade remedies that will give you a safe and long-lasting treatment to fade acne scars. Can you suggest me using baking soda and aloe vera daily on face to get rid of pimples within two weeks please suggest me using baking soda and aloe would completely reduce my pimples.. and how many times do I use it in a day… please..
You can apply aloe vera gel daily on pimples. Here is the method with baking soda – Dilute baking soda and apply it over the pimples and rinse it off with water. Repeat baking soda process 2 times a week. How much time will it take to remove the acne scars using baking soda? It is really difficult to tell the exact time as everyone’s skin tone is different. So be patient try the remedies regularly until you achieve the results. I have problems on my face .. I have blemishes on my face .. tell me the process with baking soda. . I medication alot but it’s work just for a short time .. please help me .. please. . Tell me what have to do .. Mix baking soda in enough amounts of water to make a thick paste. Apply it on the blemishes and rub gently for few minutes. Leave it on for another few minutes and rinse off with water. Repeat 3 times a week until you achieve the results. For the lemon and baking soda with the olive oil, do we leave the olive oil or washi it off? Mix 3 teaspoons baking soda and 1 teaspoon lemon juice. Apply the mixture on the skin, leave it on for 10 minutes and rinse off with water. Massage a small amount of olive oil on the skin and leave it until the skin absorbs it completely. Yes, it’s effective. Apart from lightening the acne scars, it also removes the excess oil on the skin. Hello, I would like to ask if it is safe to use honey and baking soda mask every day? Baking soda can be harsh if used regularly. It can make your skin over-sensitive. It is better to limit the application 3 times a week. No you shouldn’t. Baking powder doesn’t show any positive effects on acne. Is it okay if i use olive oil? I have very oily skin do u think i wouldnt clog pores? If applied in small amounts it doesn’t clog the pores. If you have apply more than your skin requires then it can clog the pores. Is it okay to use toner after applying baking soda? I would like to know if there is any home remedies for blemishes/ brown marks but its not due to pimples. Also some advice on the black circles under the eyes. Hi, tried the baking soda and water last night. I woke up this morning with my acne marks all red-like? Mix 2 teaspoons each of baking soda and water. I am only 12 and I have acne scars in the middle of my forehead. And I want to get ride of them before I Start school. Can u help me. which recipe would u recommend that will get ride of these scars fast. Please help. Try 5, 7, 10 or 12 methods mentioned in the above article. And don’t forget to share your experience. Is it okay if we dont apply olive oil after the washing the face? and is it also necessary to put a moisturizer after using the baking soda? If the application of baking soda is making your skin dry then you can apply moisturizer. If not, then you don’t need to apply. always come and goes after a long time and leaves a marks on cheeks. I have so many mark on my cheeks..Please can u suggest me any solution to remove those scars?? Try any methods mentioned above regularly to get relief from the scars. Apart from exfoliate regularly and drink plenty of water to replenish your skin. I have acne scars on allover the face and my skin is oily. Try 1, 4 or 10 methods to reduce the scars and oil from the skin. Repeat the process 3 times week. Hi i just wanna ask after doing process 1 if should i put moisturizer on face? If your skin feels too dry after application then you can apply moisturizer on it. Hi..my honey bottle says “non-irradiated”. Is it safe to use it? Yes it is safe. Irradiated means treating food with ionizing radiation to kill any bacteria or parasites to avoid food borne diseases. Hello! May i ask if i can also use baking soda for lighten skin scars and knees? I am male, 36, my skin is oily and I have pimple scars which looks like many many tiny holes on the face. Which home remedies method can help?? You can try 1, 4, or 8 method mentioned above in the article. Apart from that exfoliate your skin regularly to remove the accumulated dead skin on your face. Check the local supermarkets. If you didn’t find it, buy at any online stores like Amazon or Wal-Mart. should i use baking soda to remove pimple marks?? and how many time I will have to use a week??? Yes. You can repeat the application 2 – 3 times a week. Does baking soda work effectively on the black spots when applied?? And among all the methods, which one is the best? Yes, baking soda helps in lightening dark spots. It is hard to choose one for you without knowing about your skin. So choose any one as per your convenience and try it regularly until you see the results. I have pimples on the back and arms, Can I us baking soda also? and what combination would you suggest? thanks! Hello. What kind of acne scar you are referring here? Is it the dark spot / red spot / engrave or acne leaves somewhat like mini hole? Coz, i have those kinds of acne scars in my face. And also is the baking soda effective on acne that is inside? I mean you know in the outer space there is only red spota visible but it is like inside the skin and so much pain. We are referring to all types of scars that are left behind by acne. The properties of baking soda penetrate into the skin and give relief from the redness, pain and inflammation of acne. So try the process regularly until you see the results. Do we need to wash our face first before doing these methods? Or is it fine to apply those without washing our face? Is it safe to use safeguard derma sense for acne prone skin soap before doing this methods? I’m afraid it may cause more pimples on my face. We don’t recommend using any commercial chemical based soaps or creams. So it is better to wash your face with any mild soap or warm water. Yes, washing your face helps to clean the dirt and dust from the skin which helps the mask to provide best results. Steaming is better option than just washing. Steaming helps in opening the pores, which helps the benefits of mask to penetrate deeply. Yes, you can. Try any one of the above mentioned remedies for the same. Apart from that exfoliate regularly. 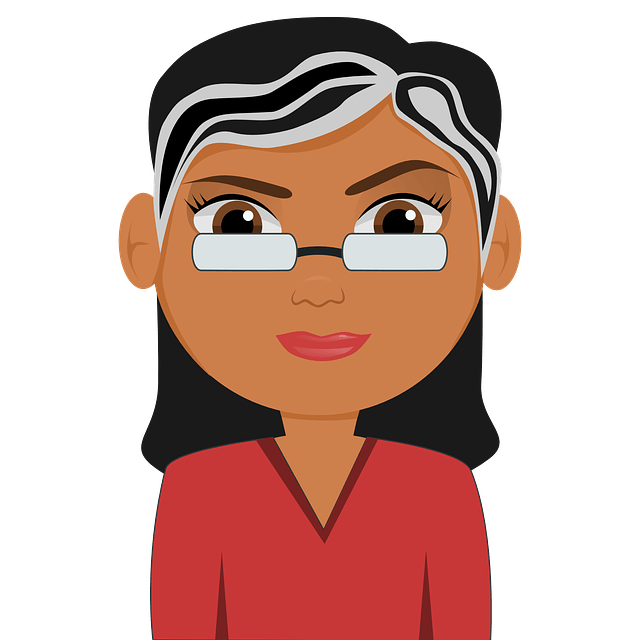 Can I use bicarbonate of soda in place of baking soda? i develop pimples in 2001, until now i have them,and many spores and scar on my face, can i use baking soda also? can i use baking soda as a replacement for deodorant? The mixture you applied may not have caused the pimples. To treat the present pimples you can try any method mentioned in this article – http://homeremediesforlife.com/pimples/. Apart from that, reduce oily and fatty food intake, drink plenty of water to flush out toxins and exfoliate regularly to remove the accumulated dead skin cells. how long does it take to reduce the redness??? As everyone’s skin is different, it is difficult for us to mention the time frame. It should show improvement in few time of application. Hello , i have scar on my face and back spot that are left behind by acne . What remedy i should use for overcome this scars and dark spot? which is best time to apply this remedy?night? and apply on a week or twice in a week? You can try any method mentioned above in the article to reduce the appearance of acne scars. It is better to follow the process before going to bed, as our skin undergoes cell renewal while we are sleeping. You have to repeat the process 2 times in a week. We usually recommend Arm and Hammer brand. I used baking soda last night on my pimple mark/ redness/ darkness. And this morning when I woke up, the redness/ darkness has become bigger. The redness might be caused due to excess blood circulation to the area. Don’t worry, it will be reduced in some time. I’m having trouble with my face. I had this very small like pimple almost over my face to neck and it is a bit reddish sometimes its itchy and hurts a bit if you touch it. Is it ok to use baking soda? Please help me. Baking soda gives me mores pimples and red rashes when i apply baking soda and lemon mixture. Tell me something better and easy to get rid of scars instantly.. I once had pimples on my cheeks and chin but now I had black acne scars on face ..I apply baking soda daily .is it ok? hi, am 15 yrs old. i have pimple on my cheeks and forehead, but not so much. is it better to use baking soda to get rid of that and which method will u preffer. Hi. How many times would I use the baking soda mixture? Can I use it everyday? You can use it 3 times in a week. Using it daily can be harsh on the skin which can lead to skin irritation. Yes, baking soda can also help to lighten the scars caused due to mosquito bites. Combine baking soda and water to make a paste. Apply the paste on the affected areas and massage for 5 minutes. Leave it on for another 10 minutes and rinse off with water. Repeat the process regularly until the scars lighten. can’t I use baking powder instead of baking soda?? Nope. Baking soda and baking powder are two different ingredients. Im using a mixture of cleanser and Myra e 400. Is this safe to use this mixture after I use baking soda? Yes, the combination is safe to use. Try it and share your experience. Yes, bicarbonate soda is good to use. If you have dry skin, it is better to avoid using as it can excessively dry the skin which can stimulate excess oil production and result in new breakouts. of chicken pox will baking soda works to clear this?? Hello,is it ok to use baking soda everyday before sleep, for example tonight i will use baking soda with lemon, then tomorrow baking soda with aloe vera ,then next baking soda with olive oil, baking soda with honey.thank you so much. Acne scars and spots all over my face. Using baking soda daily can dry out your skin completely which in turn aggravates oil production leading to acne. So, it is better to use it 3 times in a week. Could you kindly clarify if it should be 3 times in a day, or in a week? Since baking soda dries out the skin, it seems that 3 times a day will be too harsh. You have to use it 3 times in a week. My honey bottle says 100% pure raw & unfiltered honey. It’s ‘Aunt Sue’s’. Is it good? Is it okay if i do it everyday? If it states pure, raw and unfiltered then you can use it. Hi, you mentioned it can be applied before going to sleep. do you leave it on over night or remove it before going to sleep? Avoid leaving it overnight, wash off the application before going to bed. Yes, it is ok. However, if you are feeling any discomfort and burning sensation then avoid using it. Avoid using baking soda every night. Limit its application 2 – 3 times in a week. Try the method mentioned in this article http://homeremediesforlife.com/acne/ to treat the root cause of acne and prevent the new breakouts. For acne scars, you can try any method mentioned above as the ingredient availability and preference. Hey, I was wondering how often you mean when you say “repeat regularly” in some of the methods. Do you mean every day, every two days, twice a day, once a week, etc. You can repeat 3 times in a week. Hello, I have dark acne scars which are noticeable, should I use baking soda every night how often because I noticed my skins get a little irritating with red mark. Can I apply Palmers cocoa butter formula for moisturizer. Repeat baking soda application only 2 – 3 times in a week. Yes, you can apply cocoa butter as moisturizer. Mam … i have a sensitive skin . So is that good for using baking soda directly in to my face ???? If you have a very sensitive skin then it is better to avoid baking soda methods and try a subtle ingredient like aloe vera – http://homeremediesforlife.com/aloe-vera-for-acne-scars/. Can I make those baking soda pastes and use them later? The effectiveness of the mixture reduces with time, so it is better to make the mixture fresh every time. Sir I had lot of pimple on my face but now after the pimple dries there are small pores. So sir please tell me how I get rid of those small acne pores by using baking soda? I have also oily face. So can I use baking powder on my face? Please tell me. Try 1, 2 or 6 method mentioned above in the article for shrinking open pores and lightening the pimple scars. Nope, don’t use baking powder instead of baking soda. Is it okay if I used calamansi instead of lemon juice ? then I mixed it with baking soda ? And I let is stay for 10 minutes and wash it. Is it applicable if I will do it everyday ? Yes, you can use calamansi instead of lemon juice. It is better to avoid its application daily as it can dry out the skin completely. Use it only 2 – 3 times in a week. Is it ok to use coconut oil instead of olive oil for method 2? Can lime be used in replacement of lemon? I mean baking soda and lime. Hi, I am using Baking Soda with Virgin coconut oil. Is the mixture fine with pimple marks? I have lots of tiny holes on my face due to acne when I was still in high school and even up until now. I am 25 years old.